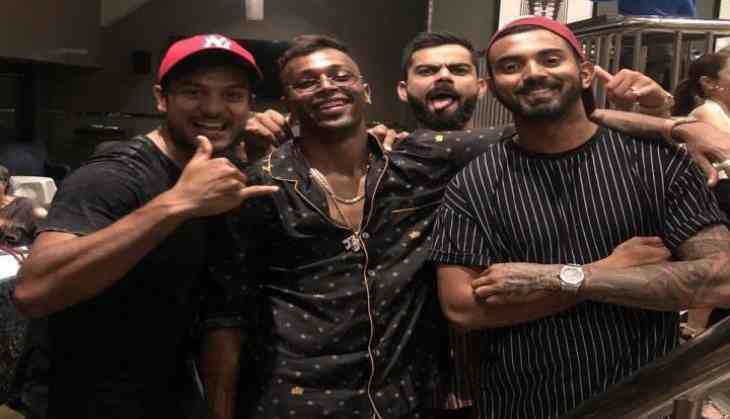 The Internet is loving the pictures of Virat Kohli and his teammates partying after the Test series win against the Kangaroos on their home turf. Indian opener KL Rahul took to his official Twitter handle to share the pictures of him and his teammates. Virat Kohli and company won a historic Test series in Australia down under. No other Asian team has ever achieved that feat. India won the four match Test series by 2-1, as the fourth and final Test concluded in a draw at Sydney Cricket Ground (SCG) on Monday. Kohli was on cloud nine after winning the series. This was India’s first win in Australia in 71 years and in 11 Test series that they played in the Oceania. Test specialist Cheteshwar Pujara was awarded the Man of the Series trophy as he smashed three centuries and a half-century. He accumulated 521 runs, the most numbers of runs in the series. Both India and Australia will play a three-match ODI series, starting from January 12. MS Dhoni, Rohit Sharma, Kedar Jadhav and Khaleel Ahmed have already reached Australia to join the team for practice.